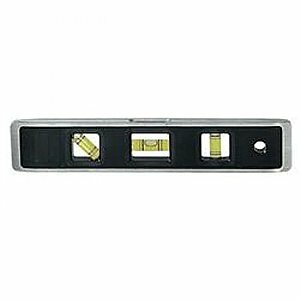 The Magnetic Torpedo Level is a great tool to have on site for any number of construction, hobbyist or do-it-yourself projects. Three large reading vials deliver professional accuracy readings from the top, bottom and side positions. In addition, the levels magnetic edge facilitates effortless use on metal surfaces, and there is also a v-groove for use with pipes.